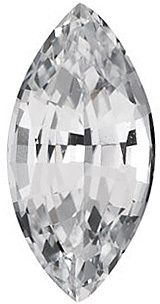 Diamond Cut Round Genuine White Sapphire in Grade AAA This White Sapphire Gemstone in the AAA Grade, Displays a Near Colorless Color, is Eye Clean with Excellent Brilliance, an Excellent Diamond Precision Cut with Very Good Polish and Excellent Proportions. 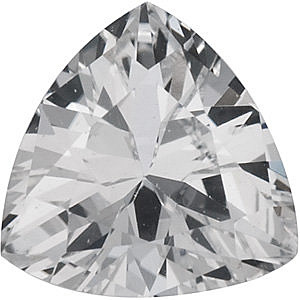 Very Diamond Looking. 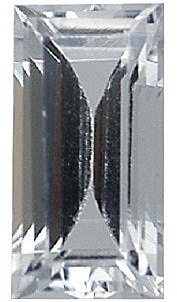 This Natural Sapphire Gemstone Has Undergone Heat Treatment. 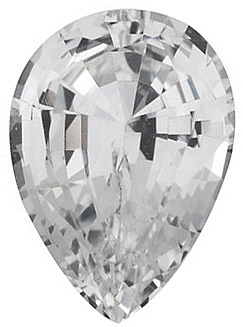 White Sapphires have been around for thousands of years. 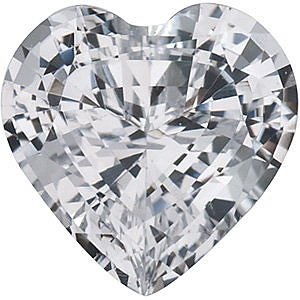 They have been used as a Diamond substitute for as long as jewelry has been made by humans. 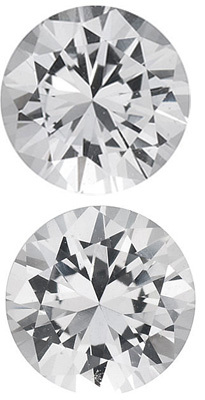 Because it is hard and durable, it is a natural choice as a low cost Diamond substitute. 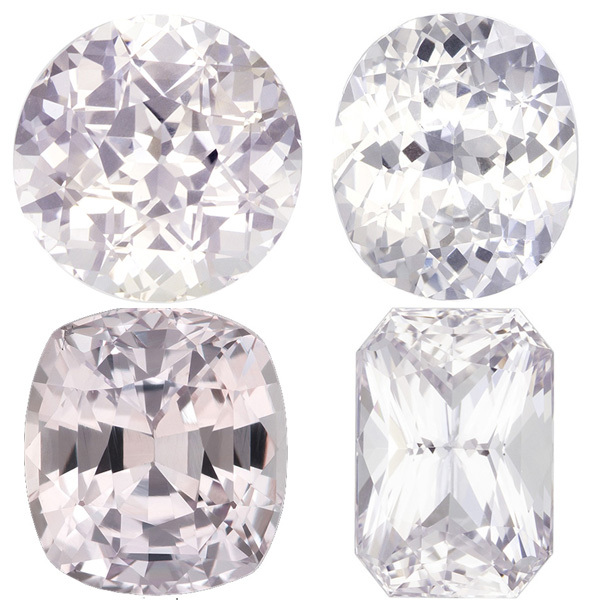 Nowadays, White Sapphire has been enjoying a renewed interest among jewelry designers and artisans that work with colored gemstones. 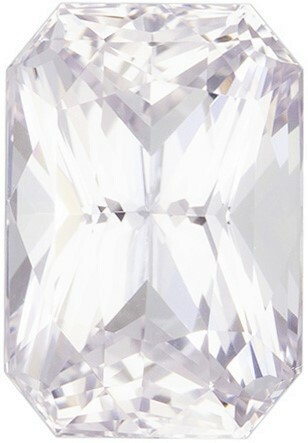 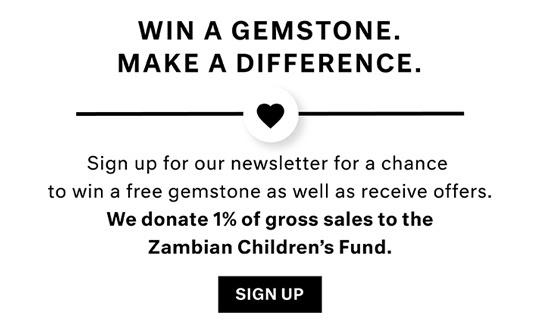 Although quite rare in large sizes over 10 carats, smaller sizes are readily available. 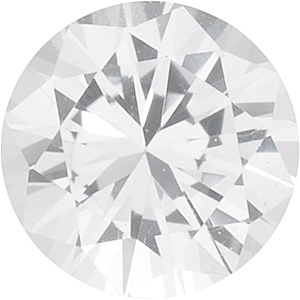 Large white sapphires are exceptionally rare in pure white color, as any slight impurity will give the stones a tint of color, mostly blue. 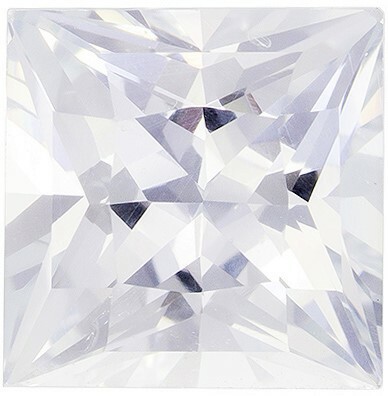 Because white sapphire is readily available in smaller sizes, under 3 carats, in very white to pure white color, they are very popular in fashion rings or cocktail rings . 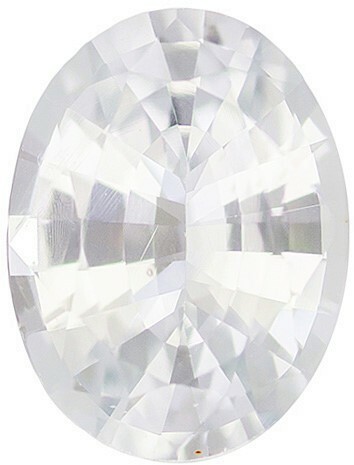 Used as a centerstone in a fashion gemstone ring, with colored gemstone accents is a fantastic combination that is sure to impress your friends on your new "diamond ring"!